Here's a rich pictorial review of normal and abnormal human prenatal development. 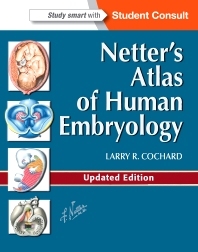 For each body system or region, you'll find a brief description of the developmental plan, with key concepts and terminology, followed by discussions of histological principles, the classification of congenital defects, and basic cellular, molecular, and genetic concepts. An emphasis on morphological patterns in the embryo and fetus makes it easy to understand the structure and function of the adult body and the embryonic basis of birth defects.